Division: 0-5 Months Tiny Babydoll Miss 6-10 Months Babydoll Miss 11-18 Months Baby Miss 19 Months - 2 Years Adorable Miss 3-4 Years Sweetheart Miss 5-6 Years Petite Miss 7-8 Years Darling Miss 9-10 Years Pretty Miss 11-13 Years Junior Miss 14-16 Years Junior Teen 17-18 Years Teen Miss 19 Years Sr. Teen Miss 20-22 Years Beautiful Miss 23-25 Years Miss 26-28 Years Ms. 29-31 Years Exquisite Ms. 32-34 Years Outstanding Ms. 35-37 Years Elegant Ms. 38-40 Years Supreme Ms. 41-45 Years Brilliant Ms. 46-50 Years Amazing Ms. 50+ Glorious Ms.
INTERNATIONAL TITLE (We do accept entries from contestants located outside the US. If an international contestant earns a title and selected a package with mailed prizes, he or she agrees to pay the international S&H charges). You may upload a separate file to list additional information. Please upload 1-3 Photos to be judged as your beauty score. The photos that you submit with the entry may be any type of photo as long as the judges will be able to use them to judge facial beauty and overall appearance. Head shots are ideal but not required. Please select an entry package from the options below. *Color will vary depending upon season. Optional Award Entry Form Optional titles will be listed on the certificate of recognition as well as on our title list page. If 2 or more optional titles are awarded, a sash pin will be added to the prize package. - A contestant must earn a score of at least 60 out of 100 in one or more of the judging factors in order to earn the optional award. as the subject is well lit, and the photo is clear enough to judge photogenic appeal. It can be either glitz or natural. *To enter, please send a photo in jpg format (in talent costume) along with a write up listing any experiences and/or titles and awards. You may also opt to send a link to a video clip of a performance. *To enter, please send a photo (in gown or formal attire) in jpg format. *To enter, please send a photo (in swimwear) in jpg format . 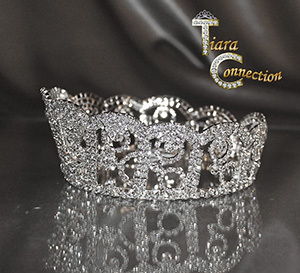 **Why do you want to be a Miss Elite Beauty titleholder? *This category will be judged based on the information submitted in the resume. Overall impression and supporting documentation to be considered. *This category will be judged based on the information submitted in the resume. Achievements specifically pertaining to career success and supporting documentation to be considered. *This category will be judged based on the information submitted in the resume. Achievements pertaining to professional development and supporting documentation to be considered. *This category will be judged based on the academic achievement information submitted in the resume. Entry Summary and Contestant Agreement. Please be sure to review our posted policies. By submitting the entry form, you are agreeing to all of the terms. Please try to calculate your fee correctly. If the full fee is not submitted, it may delay the processing of your entry. $12 - I would like to have my entry judged within 1 week and any prizes sent and/or shipped within 3-4 weeks thereafter. To view the regular deadline and prize shipping schedule, please see the Schedule & Details Page. I will pay my fee online via PayPal. Click PayPal button to go to payment screen. By submitting an entry, you are agreeing to the Terms & Policies. and policies of the pageant.